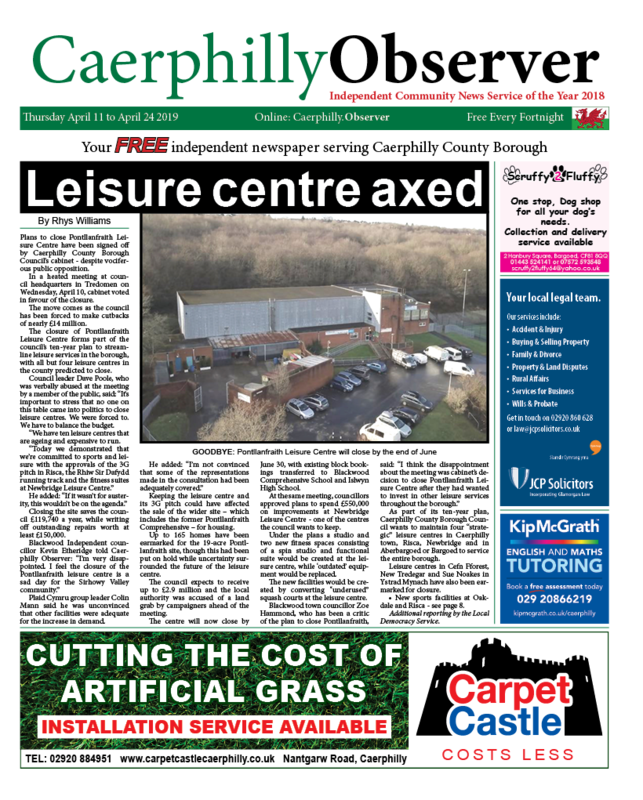 News | Rhys Williams | Published: 10:05, Wednesday January 16th, 2019. 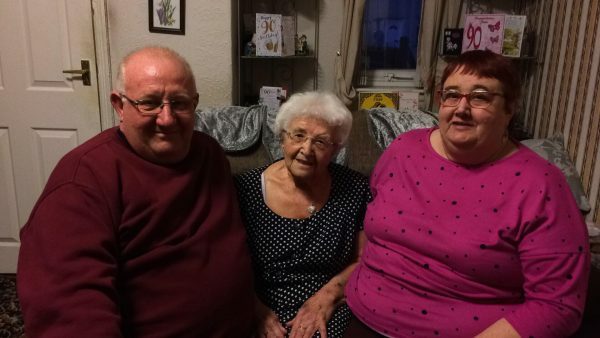 A former Scout leader from Caerphilly has celebrated her 90th birthday. Joan Humphreys, who is originally from Trethomas, has lived in Trecenydd for 88 years and became a Scout leader in 1968 after her son, David Humphreys, joined the group. 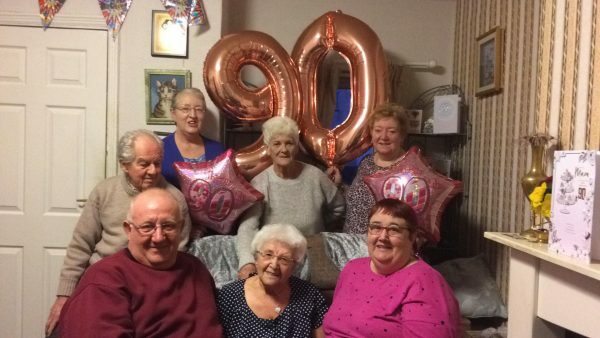 Joan, who celebrated her 90th on Monday, January 14, was a member of the Second Caerphilly branch, within the Caerphilly, Rhymney and Islwyn (CRAI) area and has seen thousands of children come and go during her time with the Scouts. 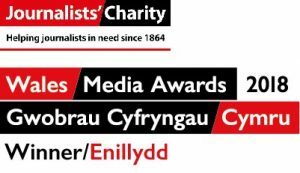 David told Caerphilly Observer: “ex-Scouts still come and give my mother a kiss when they see her out and about in her wheelchair. During Joan’s time with the group, she took part in activities such as canoeing, sailing, pioneering and camping – activities which were done regardless of the weather. Through the Scouts, Joan has been able to help many children. In 1986, Joan helped cook a 76ft long sausage as part of a competition run by the Scouts Association. The sausage was cooked using guttering and was sold as hot dogs – which ended up feeding more than 100 people. Outside of the Scouts, Joan’s main hobbies are knitting, watching television and cooking – in particular cake decorating. Joan used to make sponge cakes for her headteacher at Gwindy Girls School, which is now Ysgol Gymraeg Caerffili. She finished school and started work aged 14. Her first job was as a sales assistant at Bellingers, which is where Caerphilly Veterinary Clinic is now located. Joan worked at Bellingers during World War II and became the manager at just 21-years-old. When she was still 21, Joan married her late-husband Alun Humphreys. Alun was also involved with the Scouts, where he was a football coach. Afterwards, Joan worked at a number of grocery shops and worked on a fruit and veg stall in Caerphilly Market on Pentrebane Street before retiring in the 1970s. More recently, she has been involved with the Phoenix Club, which is an over-50s group who meet every Thursday at Trecenydd Community Centre to play bingo, chat and drink tea.